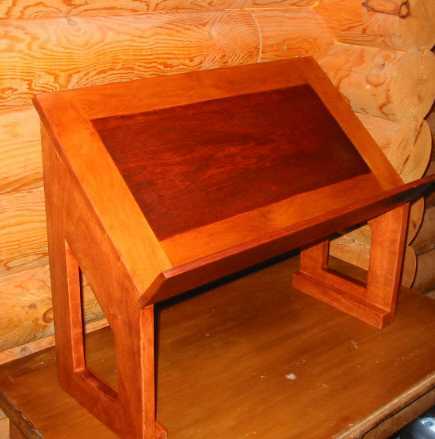 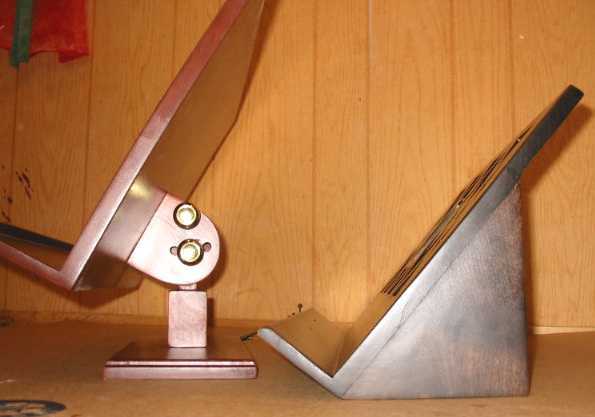 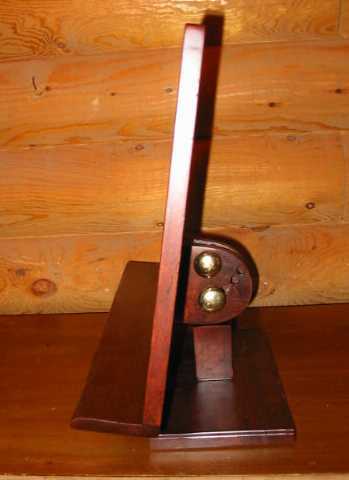 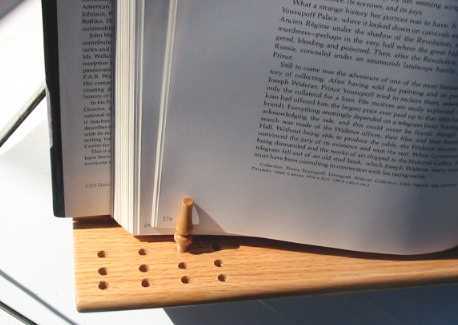 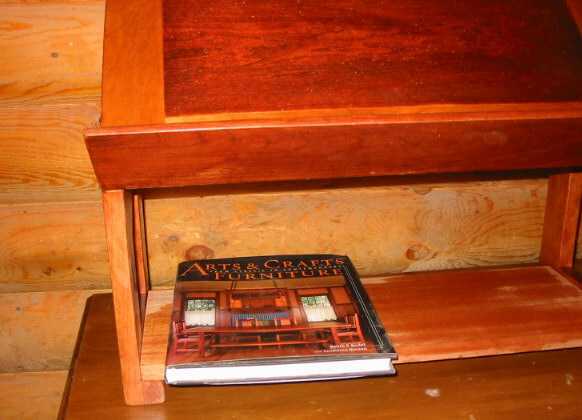 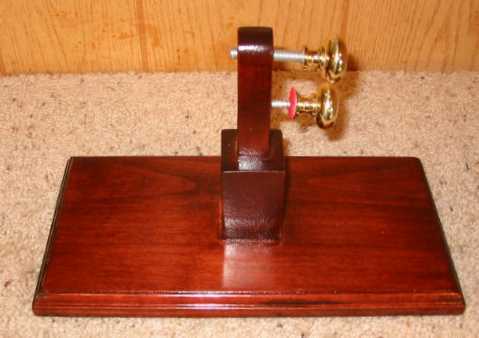 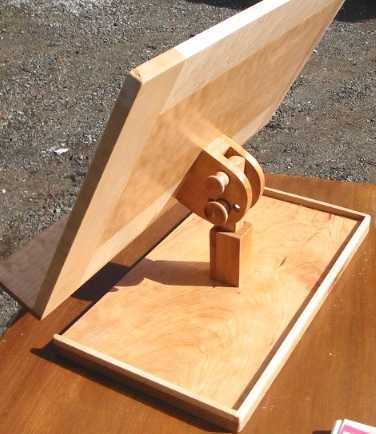 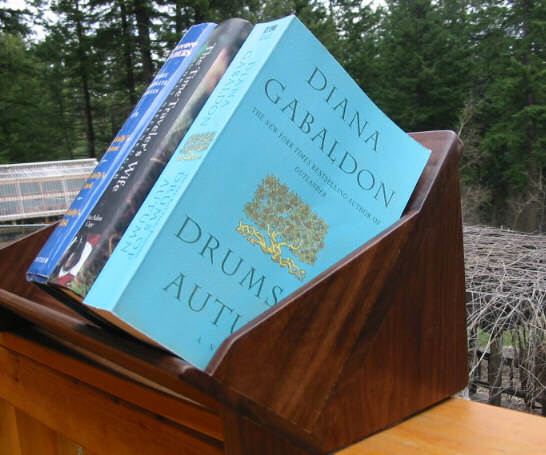 There are two ways to order the desktop bookstand. 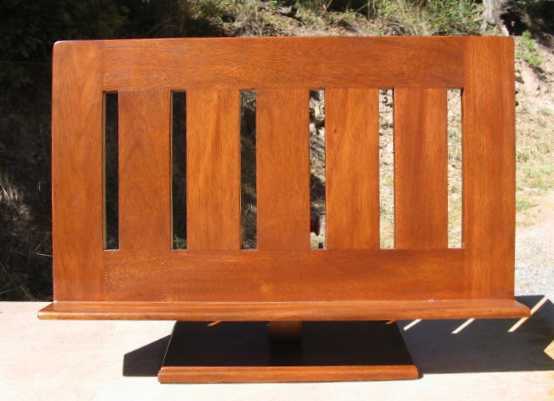 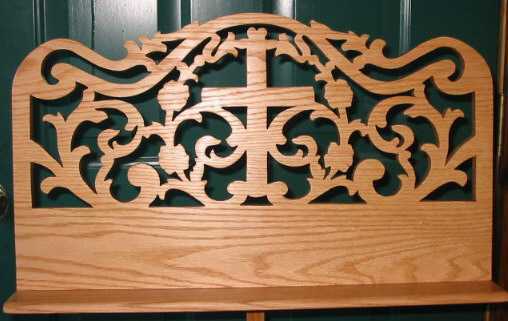 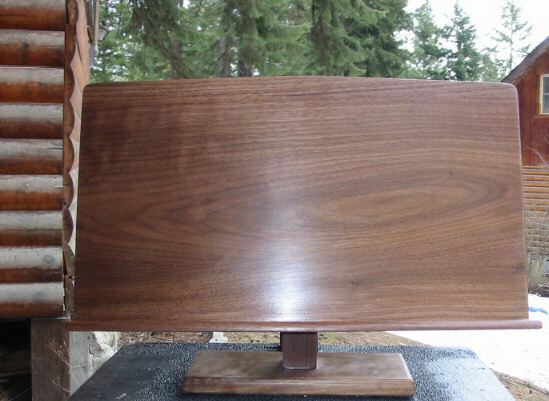 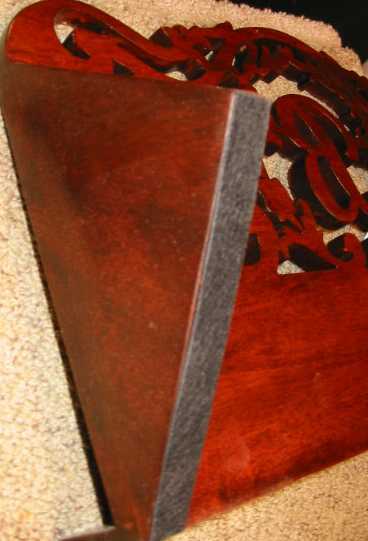 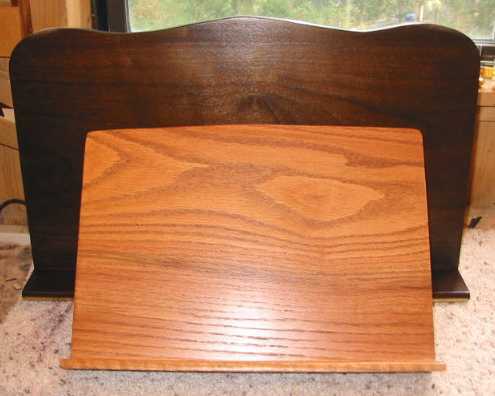 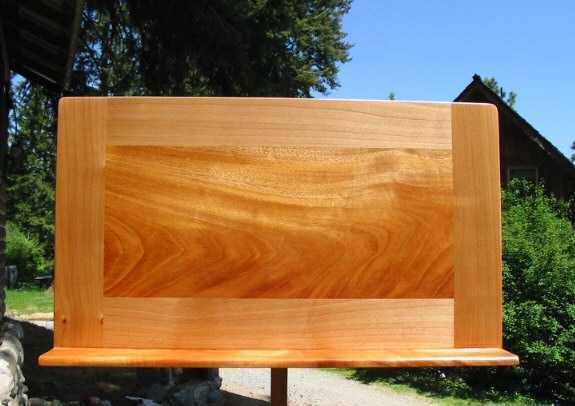 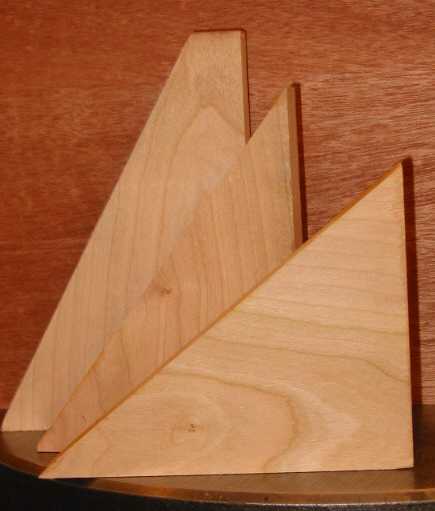 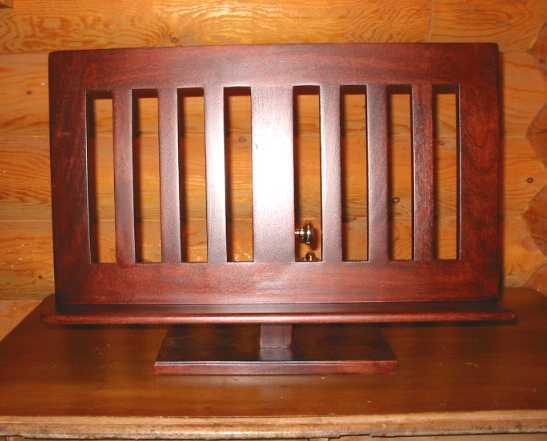 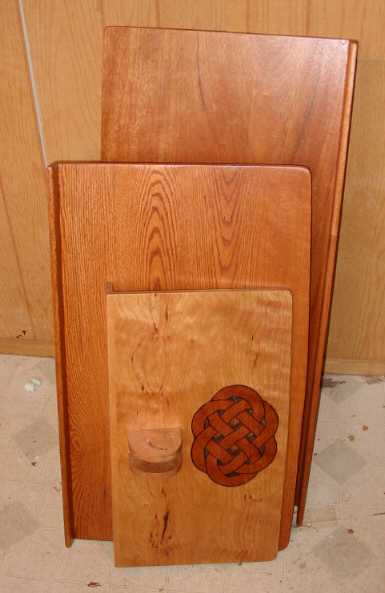 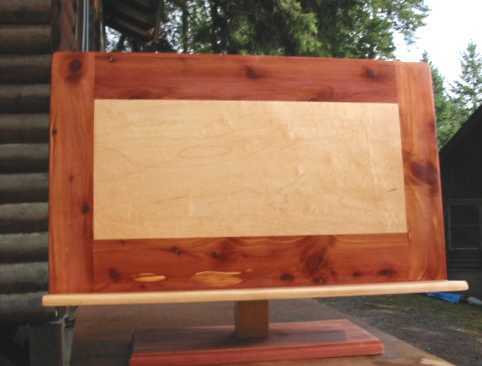 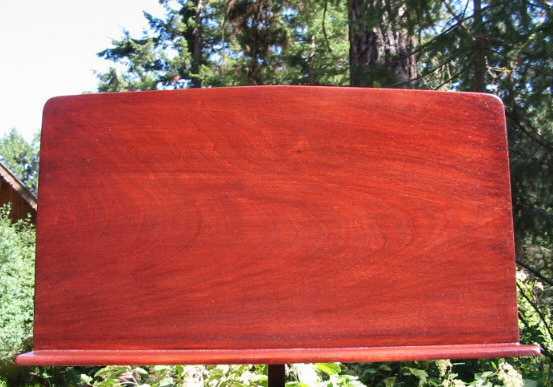 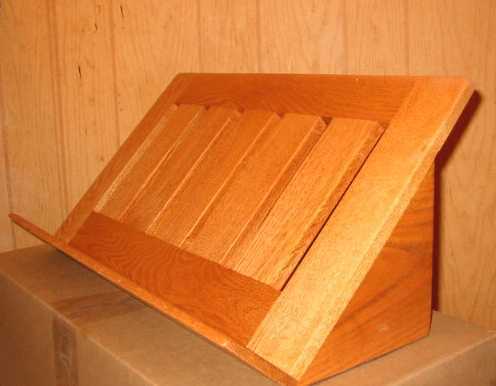 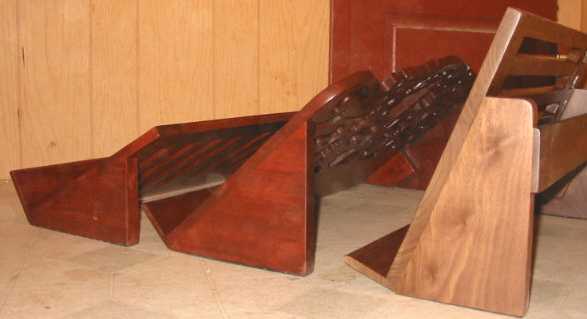 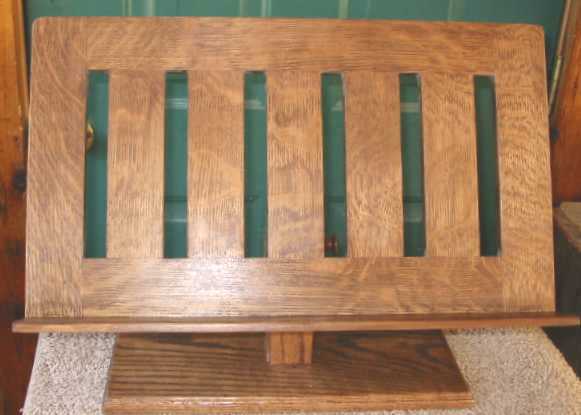 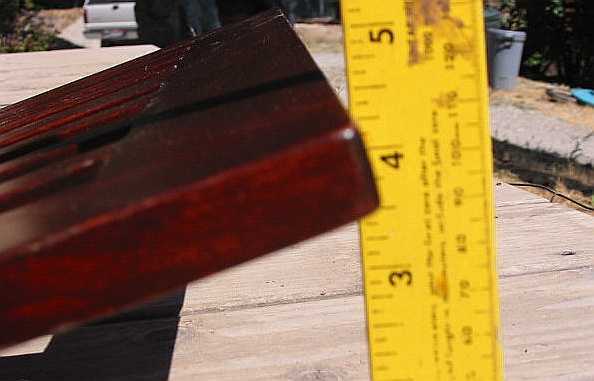 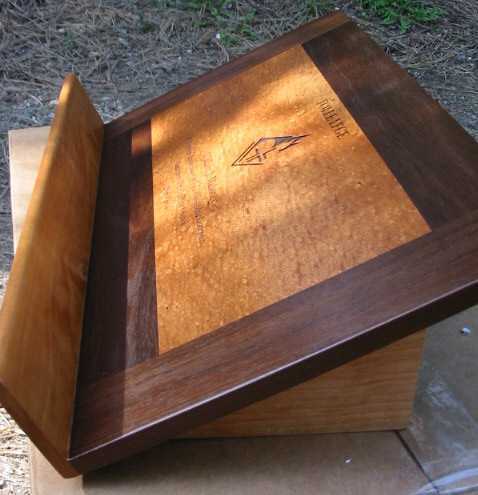 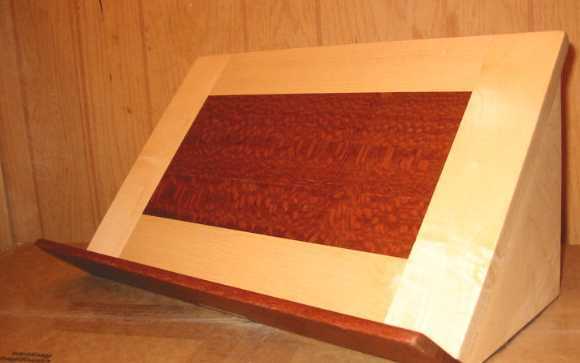 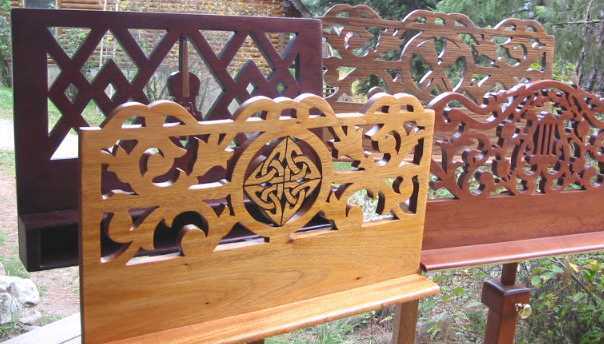 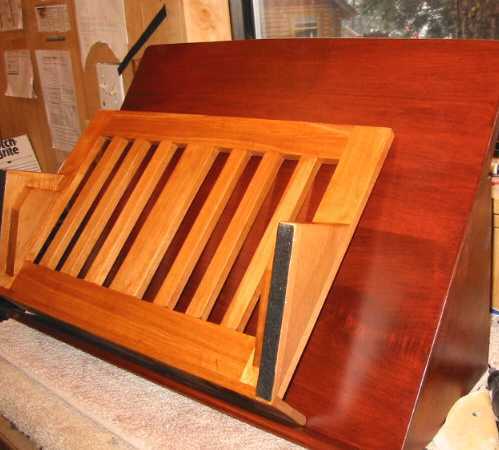 12 1/2 " x 22" length is $ 165.00 for the plain solid back design. 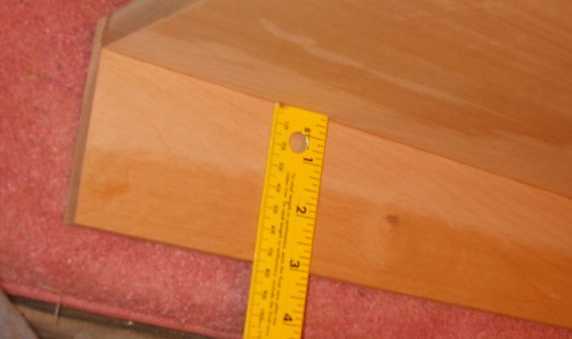 10" height by 17"lengtth ?? 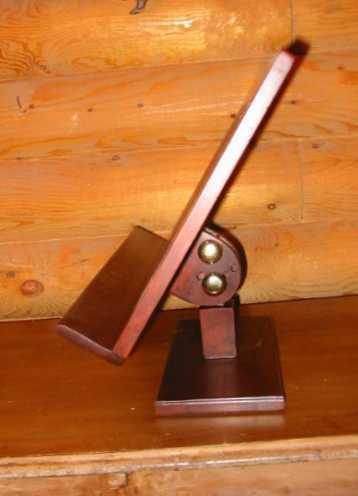 or 11" height by 15" length ?? 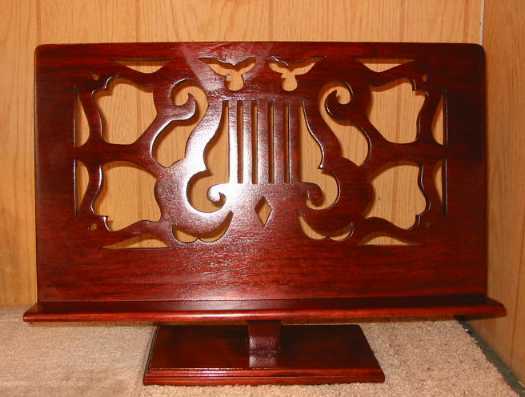 pattern or one of the other designs. 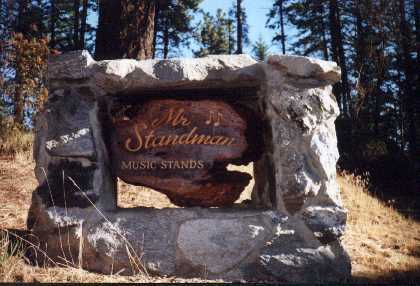 depending on the size you want ..
Mister Standman can make the frame larger like say 14" x 24"
We can also go smaller 10 " x 15" ? 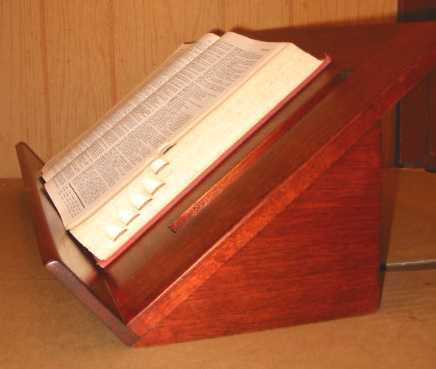 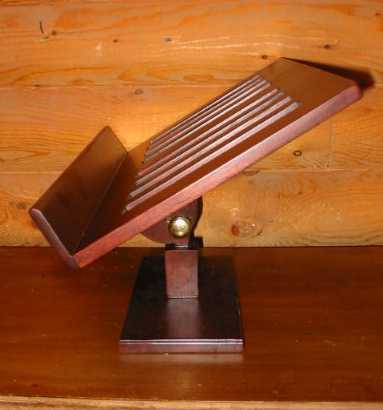 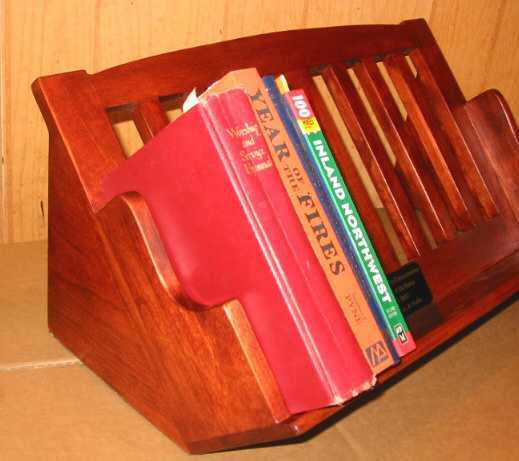 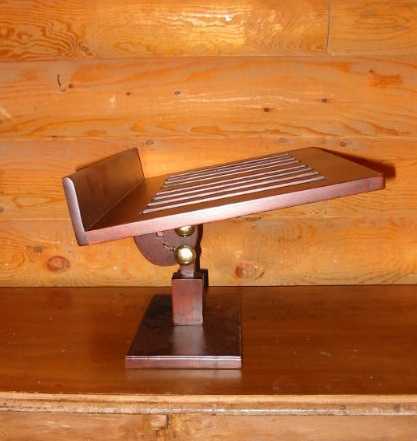 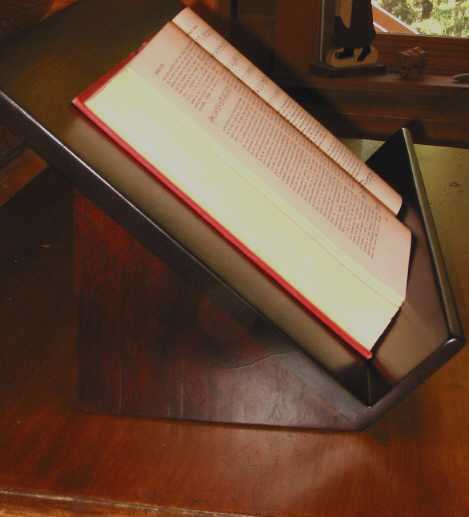 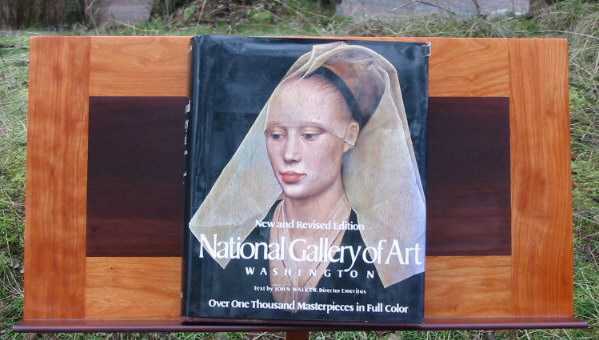 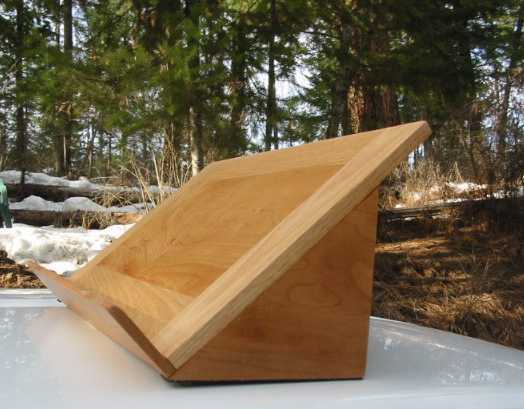 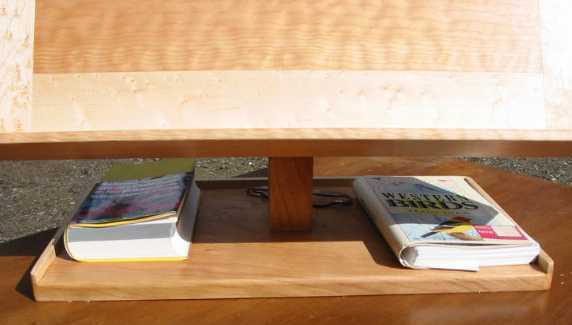 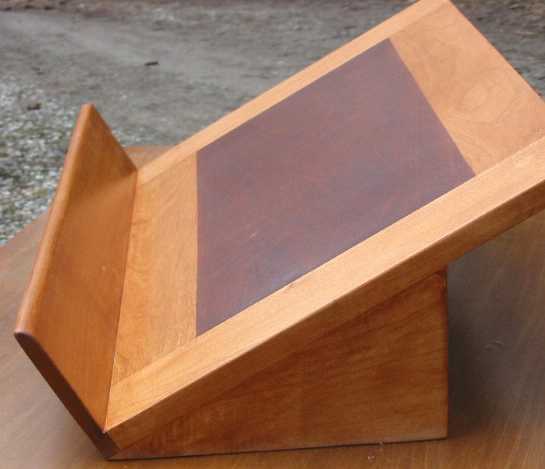 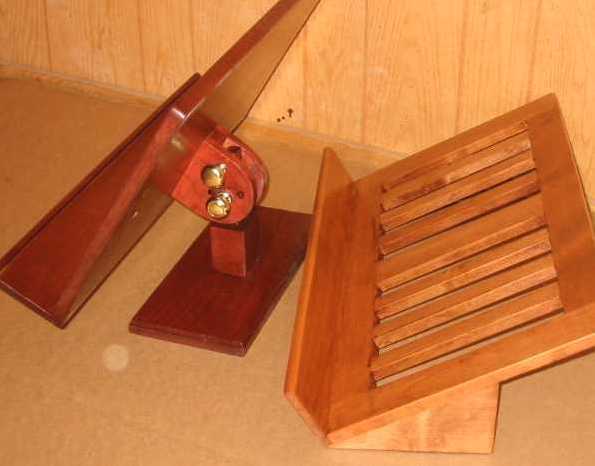 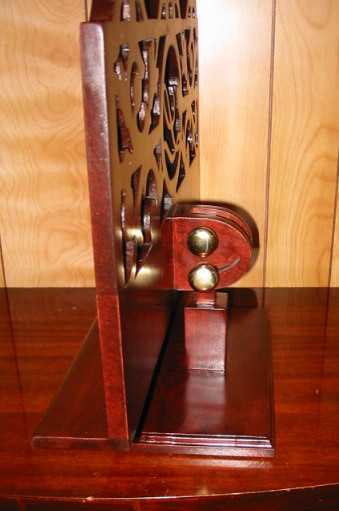 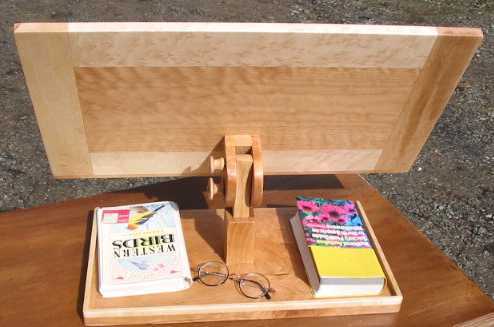 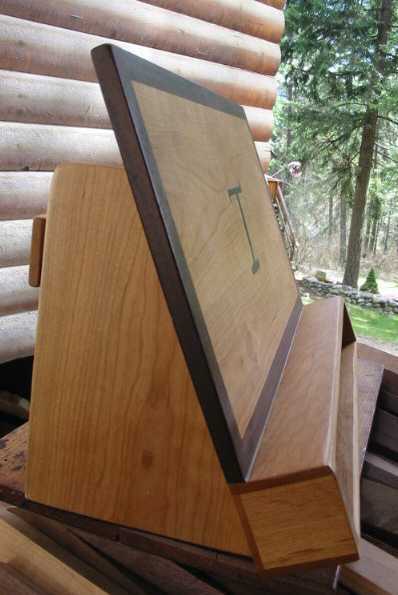 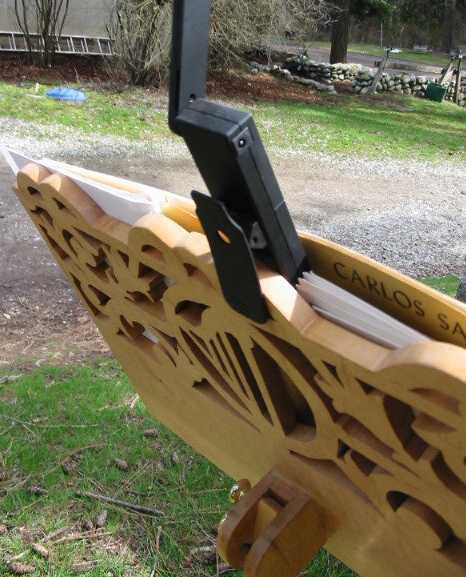 The music/book stand lip or tray where the books rests is 2 1/4 "
words at the bottom of the book when at a 30 - 45 degree angle..
comfortable to read at for desk stands !!! 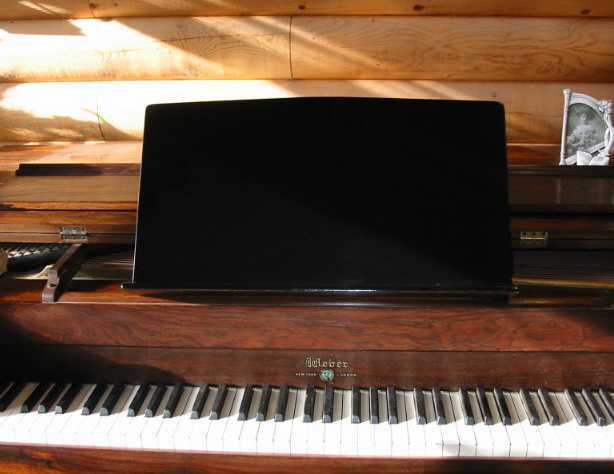 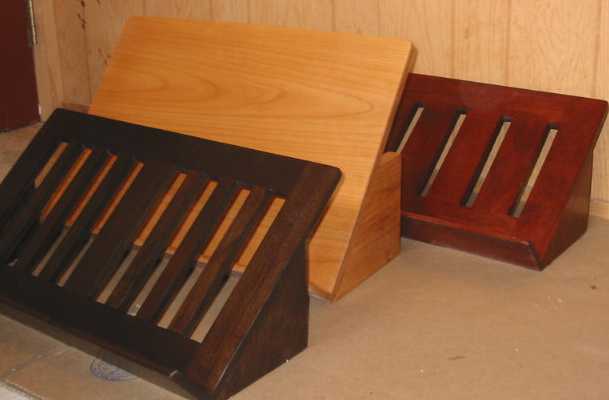 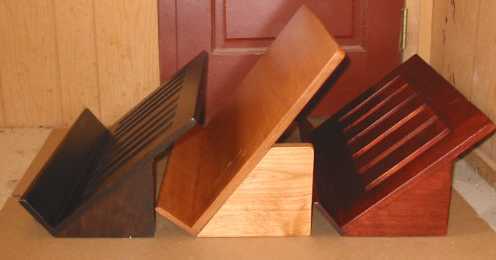 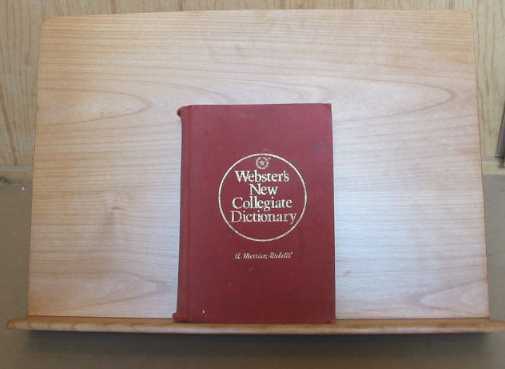 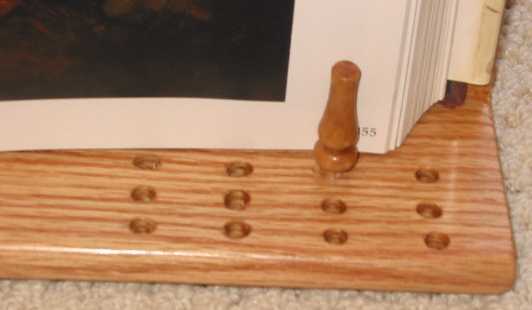 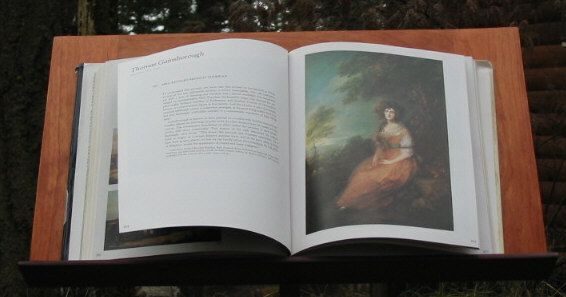 The normal size of music shelf or tray is 2 1/4 ". 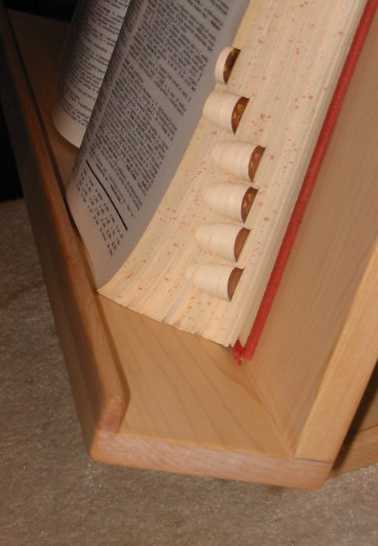 Usually a paper clip will hold the pages back just fine without the lip..
we can also make the desk stand longer - 30",, 35" length or more..
the whole frame and base to where you want. 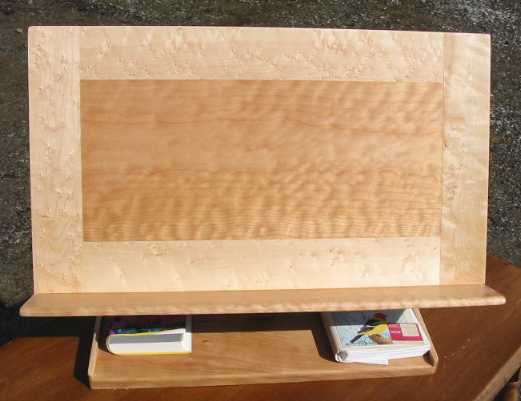 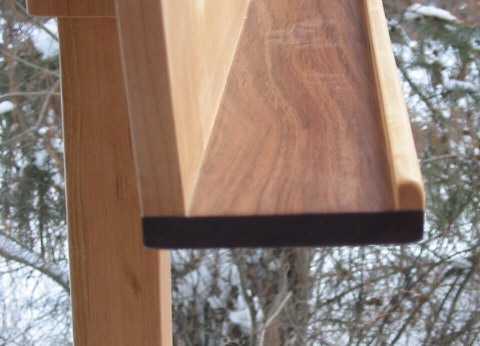 Modern Classic design (click to see more examples) - birdseye maple with curly figured cherry. 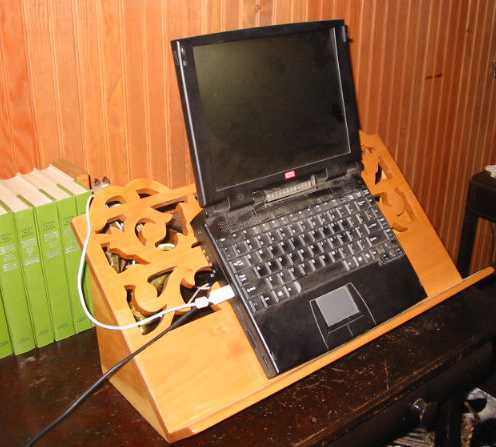 The desk stand can also work for a laptop..